Inuit culture and tradition are explored as we share objects and stories about the people who live in northern parts of Canada. Students have the opportunity to learn words in Inuktitut, discover historic and modern ways people survive in the Arctic, and then work together in groups to create a story about the North with pictures and symbols. 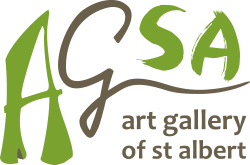 Complements the Inuksuk or Inuit Inspired Plaque workshop at the Art Gallery of St. Albert Visual Art Studios.